A group of leaders in the African-American community have published an open letter supporting a statement by author Alice Walker comparing Israel's treatment of Palestinians to the treatment of African Americans during the 'Jim Crow' era of segregation and legal discrimination. In their letter, the African-American leaders point to the Israeli military occupation, denial of the rights of Palestinian refugees, the over fifty discriminatory laws in Israel that severely restrict the rights of Palestinians living inside Israel, and reports by both the U-N Special Rapporteur and South African Archbishop Desmond Tutu that compare the treatment of Palestinians with the treatment of black South Africans living under the apartheid regime. On May 29th, novelist Alice Walker issued an open letter calling upon Alicia Keys to cancel her scheduled concert in Israel. 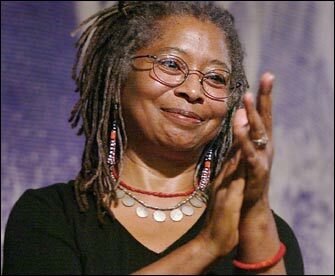 The letter has created an immense stir, as those who wish to ignore the situation facing the Palestinians hasten to draw a false wall between the experiences of African Americans under Jim Crow and Palestinians today, attacking Alice Walker's person in the process, in major media outlets including the Wall Street Journal, the Daily News and the New York Post. In signing this letter, we affirm the accuracy of parallels drawn between the experience of African Americans in the U.S. under Jim Crow and Israel’s treatment of Palestinians. The reality of the Palestinian situation is nothing short of horrendous. Israel has refused to comply with United Nations resolutions calling for a withdrawal to the Green Line of 1967; no recognition has been given by Israel of the right of Palestinian refugees to return to their homeland, in clear violation of international law and precedent; Palestinian land has been consistently seized by the Israeli government since 1948, often under the false pretense of security reasons; Palestinian citizens of Israel face de facto and de jure discrimination, including several dozen laws discriminating against them, and inferior education resources; a so-called separation wall has--again in violation of international law--been established through and around Palestinian lands. We stand by Alice Walker’s analogy between Israel's treatment of Palestinians and the Jim Crow segregation in the United States that many of us experienced, and struggled against through the civil rights movement. It is therefore no surprise to us, that, in response to Israel’s systematic discrimination, our acclaimed sister Alice Walker has urged Ms. Keys to employ the time-honored, peaceful method of boycott and to cancel her upcoming concert in Israel. Aaron Dixon, author of "My People are Rising: Memoir of a Black Panther Party Captain"
Several days before US Secretary of State John Kerry started his fifth round of shuttle diplomacy in the region, Baroness Catherine Ashton, the European Union’s high representative of the Union for Foreign Affairs and Security Policy, wound up a working visit to Jordan, Egypt, Iraq, Israel and the West Bank. 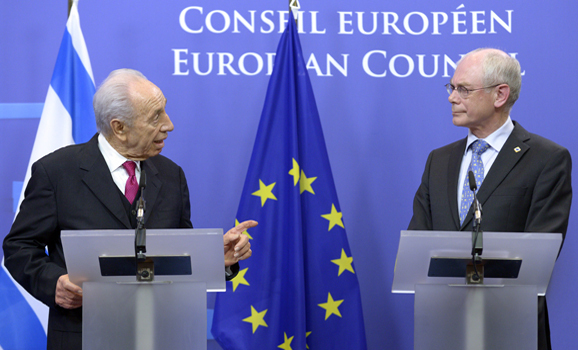 In Jerusalem, Ashton met a confused and even frightened Israeli prime minister. Prime Minister Benjamin Netanyahu’s fear of the shock waves going through Egypt and Syria and the instability in Jordan are competing with his anxiety over Iran’s nuclear program, and recently also with concern about Israel becoming a binational state. On the face of it, Netanyahu understands that freezing the diplomatic process will perpetuate the binational reality that already exists between the Mediterranean and the Jordan River. Actually, he refuses to pay the list price for changing this reality, especially given the regional turbulence. Ashton, like other important European diplomats, believes that the volatile situation in Israel’s immediate surroundings actually makes the need to prevent an additional upheaval in the region especially urgent. They question the assumption — which appears in Shlomi Eldar’s article, too — that the continued stalemate in negotiations will not affect the situation in the occupied territories. In Brussels, the prevailing assumption is that the repercussions of the failed diplomacy for the status of the Palestinian Authority (PA) should be taken into account in the coming months. They warn that the cumulative rage against the occupation and the settlements, the lack of hope for a diplomatic arrangement and the fear of an economic collapse will bring the Arab Spring to the Palestinian arena and result in the toppling of the PA and cause governmental and security chaos. This fear explains the growing desire on the part of central EU states, led by Britain and France, to increase pressure on Israel to move toward an arrangement with the PA. At the end of an EU foreign ministers’ meeting on June 24, both countries wanted to issue a tough statement condemning construction in the settlements and place the blame on Israel for torpedoing diplomatic negotiations. Netanyahu told Ashton that such an announcement on the eve of Kerry’s visit to the region would undermine his efforts to breathe life into the diplomatic process. Ashton acceded to his request, thereby adopting the approach of her predecessor, former EU High Representative for Foreign Affairs and Security Policy Javier Solana, and German Chancellor Angela Merkel, according to which the United States conducts the Middle East orchestra and Europe plays second fiddle. Even when the United States loses the diplomatic battle, Europe lets it conduct the unfinished Israeli-Palestinian symphony. The meeting of the EU foreign ministers ended, thus, in a whimper, with another anemic statement. Once again, the European politicians did not stand in the way of the United States as it trod in place. Barely three days went by and Israel paid back Ashton and Merkel by issuing 40 injunctions to stop work on the erection of tents, hothouses and a water hole for residents of the Palestinian village of Susya in the south Hebron mountain (Area C). Several of those tents were erected with EU funding to provide basic humanitarian services like a clinic, a kindergarten and a makeshift school. Inspectors of Israel’s civil administration in the West Bank accorded similar treatment to a solar energy facility, paid for by German taxpayers. A committee of the civil administration is to decide in the coming days whether to upgrade the work stoppage injunctions and turn them into dismantlement orders. A committee decision to go ahead with destruction of the project would be a slap in the face for Ashton, who announced that she had already called on Israel a year ago to comply with its commitments to stop forced relocations of Palestinians living in Area C as well as the destruction of homes there, to simplify the planning process and ensure access to water and humanitarian needs. As reflected in remarks made this week by Justice Minister Tzipi Livni on July 1 at the annual conference of accountants in Eilat, the European public is losing patience with Israel. The former foreign minister, who meets often with European politicians and diplomats, warned that the boycott imposed by Europeans against products made in the settlements will be followed by a boycott on all Israeli products. “Their problem is with Israel, which is perceived as a colonialist state,” explained the minister in charge of negotiations with the Palestinians. In a memorandum published at the end of June by the Institute of National Security Studies (INSS), Shimon Stein, Israel’s former ambassador to Germany, wrote things that a minister in Netanyahu’s government cannot say. According to Stein, his talks with European officials reveal striking mistrust and skepticism of Netanyahu’s willingness to advance the two-state solution. The retired senior diplomat warns that a freeze in talks will encourage countries like France, Britain and others to once again express their views openly on various central issues on the agenda. “There are voices calling on the Union — in the event that talks do not result in progress after a time — to toughen its stance toward Israel to the extent of recognizing the Palestinian state.” Stein got the impression that Europe expects real progress in negotiations and will not be satisfied just with a renewal of negotiations between Israel and the Palestinians. As long as Kerry announces that there’s progress in his talks and promises to return to the region soon, Israel is protected against such European moves. As long as the US wheels keep spinning — even if the motor is idling — Europe will be careful not to be portrayed as a spoke in those wheels. Netanyahu should hope that Kerry keeps running from Jerusalem to Ramallah, enabling the prime minister to float “tents” in the air. On the day US President Barack Obama decides to stop wasting fuel on a “peace process” leading nowhere, the EU will have to decide whether to take the wheel or stay behind all the way as we journey toward an abyss. Akiva Eldar is a contributing writer for Al-Monitor’s Israel Pulse. He was formerly a senior columnist and editorial writer for Haaretz and also served as the Hebrew daily’s US bureau chief and diplomatic correspondent. His most recent book (with Idith Zertal), Lords of the Land, on the Jewish settlements, was on the best-seller list in Israel and has been translated into English, German and Arabic. The 37-year-old resident of Tel Aviv is part of that group of young people who made their way into the Knesset in the last elections by riding the wave of the social protests. In her particular case, it had to do with the growth of Meretz, which doubled its representation in the Knesset from three seats to six (Zandberg was sixth on the party’s Knesset list), proving that some sectors of the Israeli population still find the idea of a two-state solution appealing. Although just five months have passed since the elections, it is already obvious that Zandberg is a rising star on the left, which seemed to have aged rather ungracefully over the past few years. She is eloquent, and she pours all her strength into raising the banner of the diplomatic process, but at the same time she has also managed to forge some “strange” alliances with the right and the ultra-Orthodox parties to advance social legislation. One example of such an ally is Knesset member Moshe Feiglin, a settler and member of the "Jewish leadership," the most extreme faction of the Likud party. She has been working with him to advance legislation concerning medical marijuana (which would authorize any medical specialist to provide a prescription for cannabis to his patients). Obviously, this particular collaboration does not prevent her from declaring that she does not use goods produced in the settlements, and that she tries not to visit the settlements for ideological reasons. We talked one day after US Secretary of State John Kerry left the region empty-handed (June 30). Zandberg said that she wasn’t disappointed, because she did not expect anything to come out of his visit. Knesset member Zandberg, when was the last time you visited a settlement? As a social activist, you are certainly aware that by boycotting those goods, you are not only affecting the income of the settlers. You are also causing damage to the income of those Palestinians employed there. Don’t you feel like you are collaborating with the effort to delegitimize Israel overseas — as part of the phenomenon by which products from the territories are marked as such in Europe? “The opposite is true. As far as the world is concerned, the alternative is not purchasing those products, but eventually boycotting all products from a sovereign state of Israel. It is actually us on the left who are maintaining the legitimacy of a sovereign Israel by delegitimizing the occupation of the West Bank. Anyone who sees what is happening in the world realizes that as far as Europe is concerned, it is heading in the direction of boycotting everything from here. That’s where we’re heading. It is possible to accuse Europe of anti-Semitism, but we would be better off if we simply washed our face, which is stained by the occupation. What products do you give up? Recently, the concept of a two-state solution has come under attack from just about every side in the Knesset. Do you feel isolated because of that? “There’s an enormous gap between what happens among the public and what happens in the Knesset. We have an absurd situation in which the Likud and HaBayit HaYehudi parties, which represent a wide swathe of the general public, have been taken over by extremists. The two-state solution is practically the consensus in Israel. We see that in just about every poll. The Likud’s leadership is well aware that this is the position of the general public, and that taking more extreme positions doesn’t win them any votes. And yet, we have a situation here where the prime minister himself is attempting to conceal the positions of his own party. Where does Meretz fit in within this whole story? Were you disappointed by the failure of Kerry’s visit? Are you more involved with the diplomatic process than with social issues? Mazal Mualem started her journalistic career on the Bamachane army weekly newspaper. She later worked for the second-leading Israeli daily, Maariv. In 1998, she joined Haaretz and later became its chief political analyst. 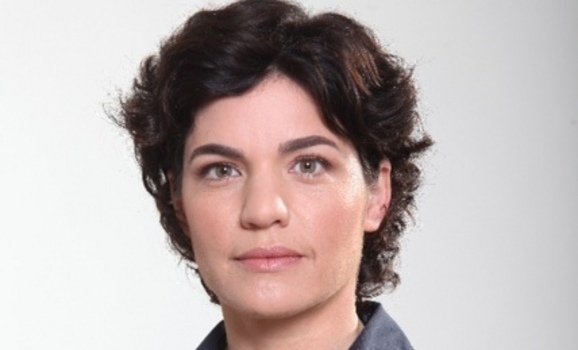 After 12 years with Haaretz, she returned to Maariv as their chief political analyst. African Americans, including Angela Davis and actress Lisa Gay Hamilton, released a statement reaffirming parallels between Israel’s treatment of Palestinians and discrimination against African Americans living under Jim Crow in the United States, a press release by the US Campaign to End the Israeli Occupation said on Monday. The African American statement, signed by academics, artists, clergy, activists and a retired city councilman, was prompted by attacks on the analogy between Israel's treatment of Palestinians and the Jim Crow segregation laws that followed Alice Walker's use of it in an interview, and later, her allusion to it in an open letter calling on US singer Alicia Keys to cancel her July 4 concert in Israel. The attacks came in the form of an op-ed in the Wall Street Journal, an editorial in the New York Daily News, and an Israeli government op-ed in the New York Post. Their criticism of how Palestinians are treated extends to the situation of citizens of Israel, linking to a report by Adalah, the Legal Center for Minority Rights in Israel, which lists several dozen laws that discriminate against Palestinian citizens. Alicia Keys is set to play a concert in Israel on the 4th of July, ignoring a growing campaign of direct pleas not to perform in Israel from artists including Alice Walker and Pink Floyd’s Roger Waters. Israel's Justice Minister Tzipi Livni warned Monday at an accountant's conference in Tel Aviv that lack of progress on the Palestinian track could lead to a potential disaster for Israeli exports. 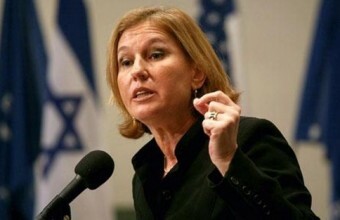 "Europe is boycotting goods," said Livni, head of Israel's negotiating team with the Palestinians. "True, it starts with settlement [goods], but their problem is with Israel, which is seen as a colonialist country. Therefore, it won't stop at the settlements, but [spread] to all of Israel," she said. Her words were somewhat similar to a warning Lithuanian Foreign Minister Linas Linkevicius, whose country took over the revolving presidency of the EU on Monday, issued in a May interview with The Jerusalem Post. He said that if Israel did not take the issue of labeling settlement products more seriously, it could find itself facing a boycott of all Israeli goods. Livni's words raised the ire of the Bayit Yehudi party, which sits with Livni's Hatnua in an uneasy alliance in the coalition. "The policy of sowing fear of boycotts is detached from reality," the party said in a statement. "The Israeli economy is innovative and ground-breaking. The entire world comes here to learn from us, and business people are amazed at Israeli technology and innovations," the statement said. "We advise Livni and her friends not to panic." During her Eilat speech, Livni said she was impressed that youth in the country protested against the government decision to export gas. "I appreciate the fact that they care and are thinking about the future, and obligating us to think about the future," she said. "But the time has come for the same youth to ask to what kind of state do they want to leave the gas reserves. To a Jewish democratic Israel? Or to a bi-national Arab state? Or to an apartheid state? It is impossible to deal with economic issues and to ignore the important diplomatic issues related to two states for two peoples." Dozens of activists took off to the streets of Brussels on Friday to inform people about a British-Danish security company based in the UK that is involved in the detention of Palestinian children. 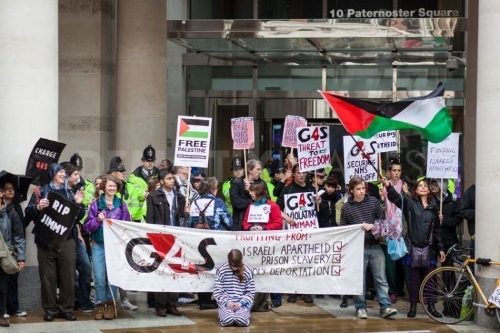 The activists denounced the fact that G4S, a private military and security company that is allegedly involved in human rights abuses and violations of international law, is still being awarded contracts even when its complicity in the detention and torture of children by Israel has been documented extensively. G4S, which has operations in more than 125 countries providing security services to government facilities, provides the security and custodial services to the Israeli Occupation Forces. Many European Members of the European Parliament came out in support of the demonstration at which Addameer, a renowned Palestinian human rights organization was represented by Sahar Francis, stressed the urgency of the matter. “G4S is involved in management and running of many prisons in Israel where Palestinian prisoners are held,” he clarified. G4S’ provision of services to the Israeli police, Ministry of Defense, Prison Service, army, as well as to businesses in settlements increased alarm among activists in many countries because it as well provides security services to the detention and interrogation facilities of the “Russian Compound” in Jerusalem and the “al-Jalameh” detention centre next to Haifa where Palestinian teens are interrogated. In March 2013 the European Parliament had issued a resolution which condemns Israel for using torture and calling for a fact-finding mission to investigate Israeli prisons. G4S renewed its contract with the European Parliament for its Luxembourg properties, in a deal worth 48 million Euros; 15.9 million Euros more than the 2008-2012 tender. In January last year, just before the third armed hold up in the parliament, the European Commission awarded its security work to G4S for 237.8 million Euros, ending its previous arrangement with Securitas. They therefore called the EU institutions to end their cooperation with G4S and actually start an independent investigation towards this corporation. Jordanian trade unionists and political activists rallied on Saturday outside the central vegetable market in Amman in protest at the import of vegetables and fruits from Israeli settlements in occupied Palestine. The Islamic action front, one of the largest political parties in Jordan, and its secretary-general Hamza Mansour participated in this event. The protest was preceded by dozens of rallies that were organized in past years to demand their government to ban the import of Israeli products. Meanwhile, dozens of Jordanian young men marched on Saturday morning from Zarqa city to the capital Amman to express their solidarity with the Jordanian prisoners and missing citizens in the Israeli occupied lands. The participants carried Jordanian flags and banners advocating the cause of the Jordanian prisoners, and they attended the sit-in that was held in the evening of the same day by the families of the detainees outside the royal court in Amman. Some activists delivered speeches during the sit-in outside the royal court denouncing the government's reluctance to assume its role in solving the issue of the Jordanian prisoners in Israeli jails. When it comes to Israel and the Palestinians, everything, even a hamburger, is political. Israelis who live in areas the county acquired in 1967 are up in arms over McDonald’s decision not to open a branch in the mall that will be built in Ariel over the next year. In Israel, the McDonald’s franchise is private and is owned by Omri Padan, one of the founders of the dovish group Peace Now, which opposes Israeli building in post-1967 areas. There are 170 McDonald’s restaurants in Israel, about 40 of which are kosher. The company’s website claims it is the largest employer of youth in Israel, giving jobs to 3000 teenagers, along with 1000 adults. Padan declined to give an interview to The Media Line but his office sent a one-line reply. “This has always been the policy of Dr. Omri Padan,” referring to the decision not to open restaurants in Ariel, the Golan Heights, which Israel captured from Syria in 1967, or even east Jerusalem, which Israel has annexed. Some in Israel welcomed Padan’s decision. “In every democratic country everyone has the right to decide where to live and where to open his business,” Yariv Oppenheimer, the director general of Peace Now told The Media Line. Oppenheimer of Peace Now reacted sharply, saying Padan’s decision is not a boycott. Ariel mayor Eliezer Shaviro told The Media Line. “Any kind of boycott is a mistake and causes more division.” Shaviro says residents are trying hard to achieve coexistence with their Palestinian neighbors. “In our industrial zone we have factories where Israelis and Palestinians work together and Palestinians make five times what they would in Nablus or Ramallah,” he said, referring to two nearby Palestinian towns. “If there is a boycott on Ariel, these factories might have to fire workers, and the Palestinians will join the cycle of violence instead of the 'cycle of income.'" It is not the first time that Ariel, which boasts a university of 13,000 students, both Arabs and Jews has been in the news. In 2011, 165 academics said they would not participate in academic functions at Ariel University because it sits on post-1967 land. A year earlier, dozens of actors said they would not participate in cultural events there. Israelis are especially sensitive to boycotts as the country has recently been the target. Recently, physicist Steven Hawking pulled out of a conference to protest Israel’s policy toward the Palestinians. The Boycott, Divestment and Sanctions (BDS) movement has stepped up activity and dozens of artists, including musician Elvis Costello and actors Dustin Hoffman and Meg Ryan, have cancelled appearances. Others have rejected the boycott calls. Barbra Streisand played to tens of thousands of enraptured fans earlier this month, and Alicia Keys appears next month. McDonald's Israel, the popular American fast-food franchise, has rejected an offer to open a branch of its restaurant chain in a mall that is due to be build in the West Bank settlement of Ariel, Calcalist newspaper revealed in a report. Tzahi Nahmias, the realtor who is marketing the mall's commercial space, told the newspaper that McDonald's refused to open a branch because Ariel is constructed on Palestinian lands or in other words, it is located beyond the Green Line. According to the report, "McDonald's confirmed that it did not intend to open in Ariel and said that its refusal to operate in the West Bank "had always been the restaurant chain's policy." The Jerusalem Post newspaper reported that Rami Levy, Israeli supermarket magnate and one of the entrepreneurs behind the Ariel mall, did not refer specifically to McDonald's decision but he said that businesses that refuse to open in the West Bank also harm the Arab population there. Settlers, in response, called for a boycott of McDonald's and its competition, Burger Ranch, immediately promised to open a store in Ariel. It's worth mentioning that several international artists as well as academics have boycotted Israel because of its location beyond the Green Line. 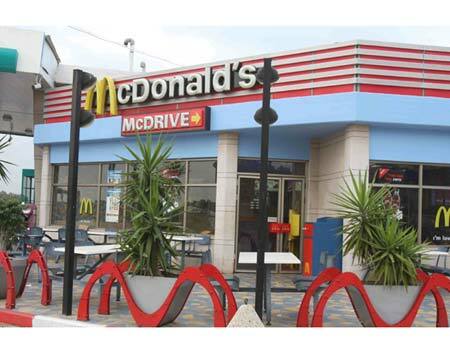 McDonald's Israel's refusal to open a restaurant in a new shopping mall in the Samaria city of Ariel due to its geographic location beyond the Green Line, as first reported by Calcalist, has sparked a wave of angry reactions and calls to boycott the fast food chain. According to Ariel Mayor Eliyahu Shaviro, "McDonald's decision not to be part of the Ariel mall is a miserable decision discriminating against the city's residents. The entire culture and commerce issue should be left out of the political arena. "Commerce is a bridging factor, which creates good conditions for a system of mutual relations regardless of one's religion, race or gender. The entire boycott issue dies the exact opposite, causing a rift instead of a bridge. 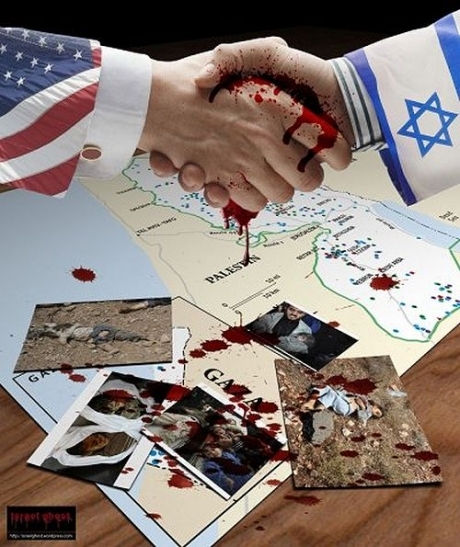 Peace will come through cooperation in general and commerce in particular, not through imposing boycotts." Calcalist learned Wednesday that Omri Padan, the owner of McDonald's Israel, turned down an offer to open a restaurant in the R Mall being built in Ariel by Rami Levy, owner of Israel's third largest Israeli retail supermarket chain Hashikma Marketing, and the Mega Or real estate company. 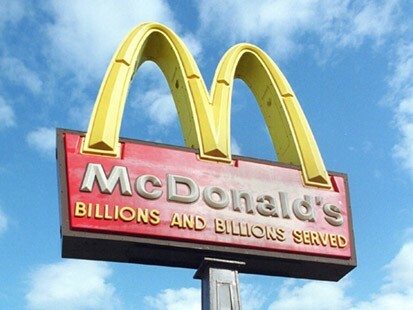 According to Mega Or owner Tzachi Nachmias, the real estate agents marketing the mall's commercial space, informed him that MacDonald's had refused to open a restaurant in the mall due to its location beyond the Green Line. "The political opinions of Padan, who was one of the founders of Peace Now, have been known for years, but those expected to be harmed by those opinions now are the residents of Ariel and the area," he said. Former Ariel Municipality Director-General Hana Golan, an Ariel mayoral candidate, slammed Padan's decision to boycott the city's new mall. According to Golan, "Padan is detached from reality. There were artists who tried to boycott the city in the past, and today they all perform at Ariel's cultural hall. "We have overcome Pharaoh, we have overcome the boycott against the cultural hall and we will easily overcome Padan's boycott, with blue-and-white Israeli companies." Golan added that "Padan is failing to internalize what Rami Levy understood a long time ago: Ariel is Israel and it's part of the Israeli consensus, representing all sides of the political spectrum. The city is the anchor of the Samaria settlement, and the public in Ariel and Samaria will reject the repulsive boycott on Padan's part." According to Tzachi Nachmias, McDonald's is not alone as additional chains have expressed their discomfort with the project's location. He refused to name those chains, saying they had yet to make a final decision on the matter. "The real estate agents told us that chains operating abroad, and others which hold the rights to international brands, are concerned that their businesses abroad will be negatively affected if they enter the mall." The McDonald's Israel company confirmed that it had no intention of entering the mall, stating that avoiding activity beyond the Green Line "has always been the chain's policy." Rami Levy, a Likud member who is said to be close to Prime Minister Benjamin Netanyahu, refused to specifically comment on the companies refusing to enter the mall, but stated that the failure to open stores beyond the Green Line harmed the area's Arab population as well. "I don't accept the inclusion of political considerations in the business world," he said. "As long as we are talking about a business operating within the borders of the State of Israel, as they are defined today, there is no reason to boycott an area or a population on political grounds. "The Ariel mall is expected to employ both Arab and Jewish workers from the area and serve both populations. This boycott is unnecessary and harms that same Arab population these people are allegedly seeking to protect." The mall, expected to open in late 2014 at a total investment of NIS 100 million (about $27 million) will be located next to the western entrance to Ariel. The commercial space in the two-floor mall will stretch over some 10,000 square meters (107,600 square feet) and will be joined by a five-floor office building. Apart from a Rami Levy supermarket, the mall will include 50 other chains such as the Castro and Fox fashion brands. The argument over the relocation of Israeli factories operating beyond the Green Line has been going on for the past decade, but it is expected to gain momentum following a letter sent recently by European Union foreign policy chief Catherine Ashton to the EU's foreign ministers, calling on them to enforce legislation regarding the labeling of products originating beyond the 1967 borders. Companies which have relocated their factories into the Green Line are mainly businesses with a significant operations in Europe, which could have been badly affected by continuing production in settlements. These companies include Unilever, which relocated the Bagel-Bagel factory from the Barkan industrial area to Safed; and Multilock, owned by giant Swedish lock manufacturer Assa Abloy, which closed its factory in Barkan and moved it to the city of Yavne. Companies which still operate in the area include Shamir Salads, Ahava Dead Sea Laboratories, SodaStream and Barkan Mounting Systems. Economy Minister Naftali Bennett, who visited the Achva factory which produces halva products earlier this month, said he had no objection to the labeling of products manufactured in the territories. "We must bring the entire world to Judea and Samaria and show them what coexistence really means," he said. "Show them factories where Jews and Arabs work together. This is the real peace between the two sides, not the Annapolis offices where no one is connected to reality." According to Bennett, "Words don't make peace; only businesses and joint purchases make peace. We don't hate anyone. There is a desire for real coexistence here. I suggest that we agree to label products with the caption, 'Produced in the region of peace.'" The video had been featured on MSNBC’s Grio, the Atlanta Black Star, and many other websites. The makers of the video also expressed dismay at Keys’ removal of the empowering video. A number of parody videos of “This Girl Is on Fire” have not been removed from Youtube. The video’s removal came amidst mounting calls for Keys not to play in Israel. The Palestinian branch of an international organization focusing on children’s rights, Defense for Children International Palestine, urged Keys to uphold the mission of her non-profit “Keep A Child Alive” and cancel her concert due to Israel’s abuse of Palestinian children’s rights. French human rights advocates held protests at Keys’ concerts in Lyon, Marseille and Paris, where they managed to directly ask both Keys’ musicians and Keys herself to cancel the concert in Israel. More than 50 US organizations working with the US Campaign to End the Israeli Occupation also sent Keys’ publicist and “Keep a Child Alive” a letter asking her to cancel her July 4 show. YouTube removed a video calling on Alicia Keys to cancel a concert in Tel Aviv. Set to Keys' popular song "This Girl is on Fire," the video was removed on Monday, according to the US Campaign for the Academic and Cultural Boycott of Israel. The video, "Alicia Keys, Come Together with Your Sisters, Boycott Apartheid," was removed, a notification by YouTube said, due to a copyright infringement claim by "Alicia Keys c/o Ziffren Brittenheim LLP." "It is enough that we face physical and emotional violence and restrictions on our daily lives. But now we are also being silenced on the internet," Hamadeh said in a statement distributed by the US Campaign for the Academic and Cultural Boycott of Israel. "I think if Alicia Keys understood the call to boycott, she would agree to honor it." The appeal to Keys to boycott Israel came first from Alice Walker in an open letter posted on the Pulitzer Prize-winning author's website. Calls also came from Roger Waters of Pink Floyd and numerous pro-Palestinian organizations.